Online dating in Costa Rica has become quite popular in very much the same way as it has in Panama. I went to Costa Rica in college on a trip to explore the ecotourism side of the country and was fortunate enough to interact with many Costa Ricans. I found the people of the country warm, friendly, and very hospitable. Should you be a lonely expatriate or traveler considering moving to or going to Costa Rica for a stint, I highly recommend you give online dating a try due to the large pool of singles you will find on the top online dating sites that service the country. Costa Rica, like Panama, is also a popular place to retire. So if you are a single retiree tired of the life in wherever country you are, consider giving Costa Rica a chance. Most Costa Ricans still meet their romantic partners via the traditional methods of mutual friends, organizations, work, school, or church, etc; however, the 21st century rise of online dating and the decline in the stigma associated with it have led to thousands of people joining dating sites in search of love. In order to put yourself in a position for the best success, try to live close to San José, which is the most modern of all cities in Costa Rica and has the most online dating users. Without further ado, here is the quick list of the top two dating sites in Costa Rica. I’ll go into more detail in my reviews below. Latin American Cupid would be the site that I would focus 90% of my attention on. 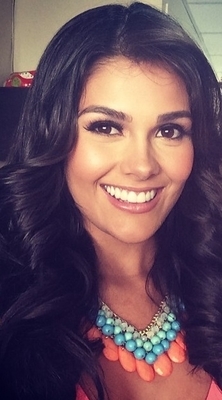 It is the best site for online dating in Costa Rica in my book. If you run a simple search of women 21-35 who live in Costa Rica, you will be able to browse through more than 1000 profiles. The selection of women and men on this site is not near what you will find at the site I mention below, but for what you lack in numbers, you more than make up for in terms of quality. I’m also a big fan of the site’s interface and identity verification tool. Latin American Cupid seems to have a lot of men and women on the site living in San José, so, if you are planning to use this site, living in San José seems like your best bet for attaining success. The site has a professional appearance that is available in 8 different languages and features a user-friendly interface. Like all other dating sites, it has its fair share of scammers who are looking to make a quick buck, but those profiles are pretty easy to spot. 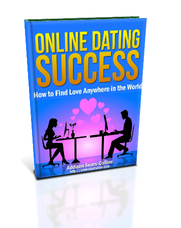 The sign up process for LatinAmericanCupid is simple. You’ll begin by entering your name, gender, email, and creating a password. Next you’ll be able to create a profile by entering a blurb that describes yourself and what you are looking for in a partner, and then you are done. The profile isn’t technically complete, but at this point you are allowed to browse member profiles and start meeting people. Once you have entered information that describes what you are searching for in an ideal match, the site will give you profiles that match your criteria. You can choose to view the profiles by photos, basic view, more detailed view, and profile information. You can also sort the profiles they send you by newest members, photos first, most recently active, and relevance to your criteria. Another cool feature is the ability to create your own search that includes details like age, location, ethnicity, body build, and even their zodiac sign. If you choose to use the free membership, messaging is fairly basic. You can communicate with any members on the site by sending interest, adding someone as a favorite, visiting profiles, and sending locked messages. None of these options actually allow you to have real conversations; they simply let the other member know you are online and are interested in them. If you would like to initiate any communication and attempt to build a friendship or a relationship, you’ll have to upgrade to a premium account. That said, once you pay for the premium membership, the messaging features all open up to you, and they are top of the line. You can enjoy regular messaging with audio and video chat as well as instant messaging. One of the best and most unique features of LatinAmericanCupid is the ability to translate your messages into other languages. While Google Translate is free and easy to use, having the message translate tool on the site is easier to use and more user-friendly. Since most of the site’s members don’t speak English, this tool is invaluable. 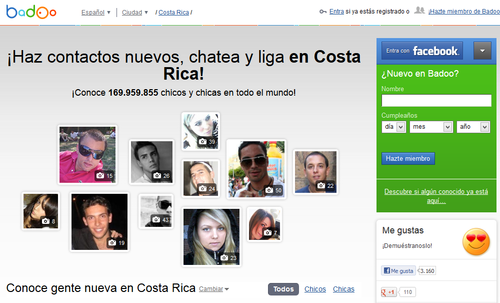 A massive worldwide online dating site launched in 2006, Badoo is an OK option for Costa Rica. On face value, if you do a search of let’s say, women between 25 and 35 years old, you will turn up a lot of women in your search results. The problem with Badoo though is that you will have to weed through a lot of low quality profiles in order to locate real people. The quality is just not as good as you will find on Latin American Cupid although the selection is a lot larger. Because of my issues with the quality of profiles on Badoo, I would not focus on it as a starting point for my dating search.